Wendy Campbell leads the Delaware Valley chapter. The North Jersey group has broken away. Dissension over a new direction for the Alzheimer's Association has left the Philadelphia-based chapter, one of the nonprofit group's largest, with an even bigger territory. 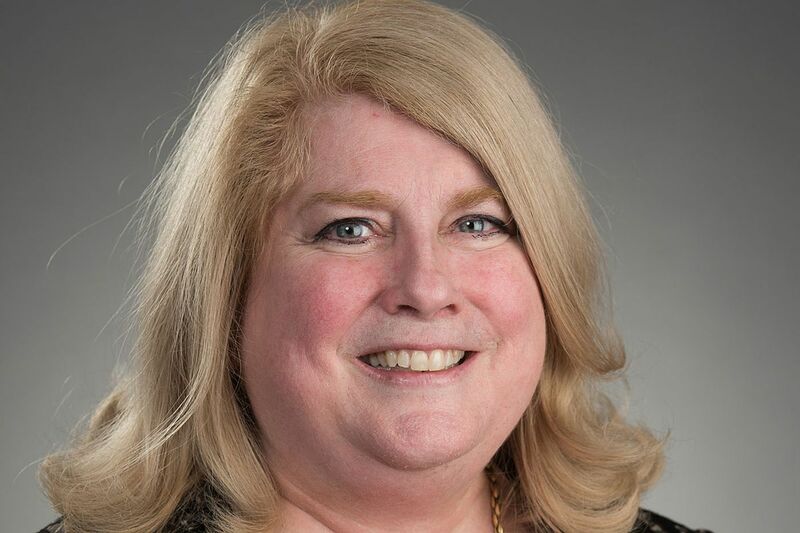 Wendy Campbell, chief executive officer of the Delaware Valley chapter, is now temporarily in charge of all of New Jersey in addition to Southeastern Pennsylvania and Delaware. Her staff will be competing - in a friendly way, she says - with former allies. Six of 81 local affiliates - based in North Jersey; New York City; Austin, Texas; San Diego; Los Angeles; and Orange County, Calif. - declared their independence recently rather than merge fully with the national group. Leaders of the Alzheimer's Association, headquartered in Chicago, said the merger was needed to make the group more effective as baby boomers age, boosting demand for services and treatment. Twenty-seven local chapters were already part of the national organization. Forty-eight affiliated chapters, including Delaware Valley, decided to go forward with the merger. "We need to be a larger organization," Campbell said. She believes a unified national group will have more success lobbying Congress for more money for Alzheimer's, which still lags other major diseases such as cancer. She also thinks stronger national ties will lead to better sharing of good ideas and more uniform services. "We're one of the fastest-growing charities at this point," Campbell added, "but we're not growing fast enough to keep up with the number of families that are going to be impacted as people age." The association's total revenue in fiscal 2015 was $321 million, including funds from local chapters. It spent $32.5 million in research programs. The Philadelphia board, which studied the change for months, had concerns about the pace of the merger and the amount of input from local leaders. Nonetheless, it voted to approve the merger last month. Campbell said changes were made to the merger agreement that allow for more local input. While the Delaware Valley board will no longer be a "fiduciary board," it will continue in an advisory capacity. Campbell said there were no plans to change staff. The local chapter, which will soon seek court approval for the merger, must turn over about $2 million in assets to the national organization. It will still be able to use 60 percent of funds raised locally for local programs. Campbell said her chapter, which mounts the nation's biggest and most lucrative fund-raising walk for Alzheimer's, "always saw ourselves as part of a broader mission." Her group also would have had to give up the Alzheimer's Association's national help line number (800-272-3900), which brings in 12,000 calls a year to the chapter, and all of the association's marketing materials. The Greater New Jersey chapter decided that was worth the risk. Its board voted in December to leave the Alzheimer's Association. Ken Zaentz, president and CEO of what is now known as Alzheimer's New Jersey, said his board concluded that "the people of New Jersey would be better served by a local organization with a local board." They thought that a New Jersey-based group would be better at assessing local needs and tailoring programs to fit. Zaentz said the board was particularly concerned that the national organization would end the local group's respite and wellness program, which teaches caregivers about the value of taking a break, and gives $1,000 "scholarships" to about 300 caregivers a year so they can sample respite services. Zaentz said his group, which has a new website - www.alznj.org - imbued with a slightly different shade of purple than the Alzheimer's Association's, will now serve all of New Jersey. The national group asked Campbell, whose territory already included South Jersey, to begin covering North Jersey the day after the Greater New Jersey chapter seceded. She said she quickly moved some staff to the Marlton office and plans to open an office in Totowa, Passaic County, on April 1. The Alzheimer's Association is hiring five staffers for the state. Both Campbell and Zaentz said there was plenty of work for two Alzheimer's organizations in New Jersey. "Unfortunately, this is a disease that affects thousands of people, and I think that no one organization can provide everything," Zaentz said. "There is certainly room for different focuses." Whether there's plenty of money for both remains to be seen. The two groups will be competing for donor dollars. The Alzheimer's Association was established in 1980 and had become a "loose federation" of independent chapters, said Chris Binkley, vice chair of the national group's board. He said the merger was needed to make the association operate more effectively on the service and research fronts. Kate Meyer, an association spokeswoman, said most other top national health charity organizations have "single unified structures." One of them, the American Cancer Society, consolidated 13 separate divisions in 2013. Binkley said the "Mission Forward" initiative did not stem from financial distress. "We're making these changes at a period when the association has never been stronger," he said. However, the group's leadership felt it needed to step up because the disease was outpacing its efforts. The goal is to complete the mergers by July 1.